Dr. Jerry Taylor, associate professor of Bible, missions and ministry at Abilene Christian University, speaks Sept. 18, 2018, on the occasion of the opening of the new Carl Spain Center on Race Studies and Spiritual Action. Taylor will be director of the new center. For Dr. Jerry Taylor, associate professor of Bible, missions and ministry, the new Carl Spain Center is a dream come true. The man who delivered the most explosive lecture ever heard on the Abilene Christian University campus will be honored in September with the opening of the Carl Spain Center on Race Studies and Spiritual Action. With a formal opening and ribbon cutting on Sept. 18, the center will carry Dr. Carl Spain’s name in tribute to the ACU Bible professor who took the university to task in 1960 for its admissions policy that barred African-American students. The policy was changed in 1961. Spain, who is deceased, was a longtime Abilene Christian professor. He delivered his powerful lecture titled “Modern Challenges to Christian Morals” during the February 1960 Bible Lectureship. The ribbon cutting in Moody Coliseum will come during this year’s lecture series, now known as Summit. None could be more pleased than Dr. Jerry Taylor, associate professor of Bible, missions and ministry, who will be director of the new center. It was Taylor who listed establishing the center as one of his faculty goals several years ago. His decision to place Spain’s name on the center seemed most fitting. The grand opening ceremonies will begin with a Summit address by Taylor in Moody Coliseum at 11 a.m. and a noon invitation-only luncheon in the Hunter Welcome Center. Spain’s daughter and grandson, Claudette Rogers of Houston and Gavin Rogers of San Antonio, are expected for the ceremonies. She will bring photos of her father and personal items, including a copy of her father’s famous speech, to add to the center. A dedication and ribbon cutting will begin at 4:30 p.m. at the center, located in Room 111 of the Bible Building. The center will be directed by Taylor and an administrative assistant. He will continue to teach classes, but on a reduced schedule. When Taylor teaches a class on prophetic preaching, he cites Spain’s lecture as an example. It’s easy to see why. Dr. Douglas Foster, a professor in ACU’s Graduate School of Theology, reflected on Spain’s speech in an ACU Today magazine article titled “An Angry Peace: Race and Religion.” In his talk, Spain noted in 1960 that some Methodist, Baptist and state universities admitted African Americans. He noted that no state or federal laws existed to prohibit black students and that the Bible did not rule against it. This year’s Summit will offer another moment of rejoicing for Taylor, and on the same day as the ribbon cutting. 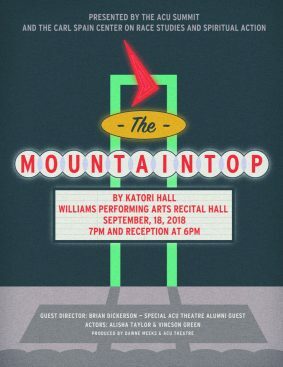 That evening, his daughter Alisha Taylor, a 2017 ACU graduate, and Vincson Green, a 2012 alumnus, will perform The Mountaintop, a two-person play depicting the last night of Dr. Martin Luther King Jr.’s life. A reception will begin at 6 p.m. in the lobby of the Williams Performing Arts Center. The play will start at 7 p.m. in the WPAC Recital Hall. It is free and open to the public. The new center at ACU will provide a place to advance the academic study of racism, which continues to affect all facets of the American society, Taylor said. Even if racism isn’t as overt and aggressive as it once was, it still exists. To increase understanding, the new center will offer mentoring, spiritual retreats, conferences and lecture series. Taylor is especially fond of silent retreats like the ones he takes students to at a retreat center in South Texas. Silence “gives souls an opportunity to communicate with God,” he said. 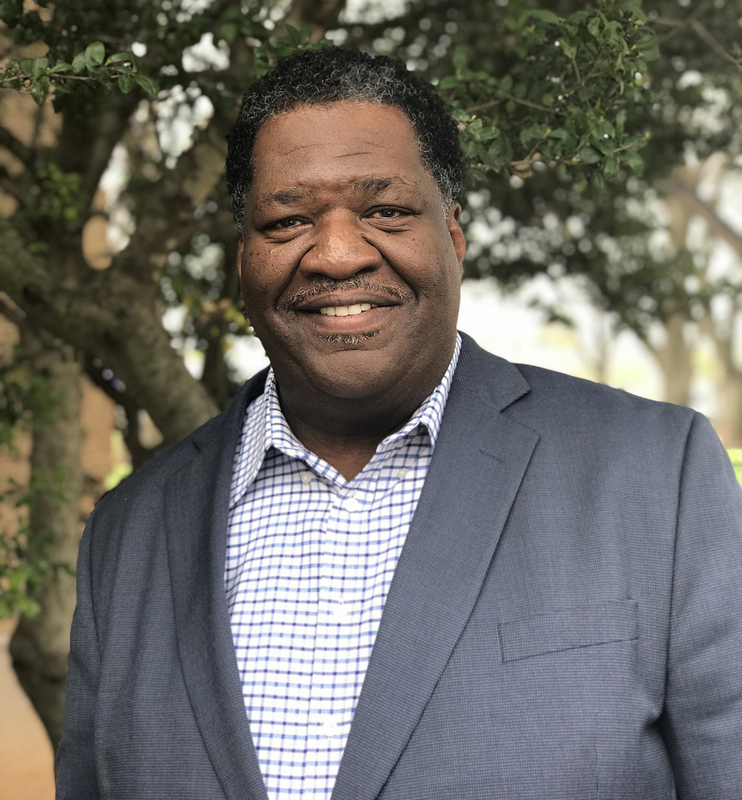 He sees the new center as another step ACU is taking to advance the opportunities for people of all races to genuinely connect on a deeper spiritual level beneath color, class and culture. The diversity he sees on campus now makes him thankful. The opening of the Carl Spain Center will be another opportunity to rejoice over what God is doing to heal the world, he said. Carl Spain was a favorite, beloved professor of mine. He was a friend and mentor. The opening of this center thrills my heart. In 1978-83, I was a student at ACU majoring in Bible, Ministry, and Evangelism. Dr. Carl Spain was not only a godly professor but a great preacher of the word. I took many courses from him that he began to mentor me. We spent a lot of time talking about ministry to my people (African Americans) and being prepared for ministry. He challenged my misconceptions and misunderstanding of certain theological texts. When I experienced financial hardship Dr. Spain was there with along with Dr. Neil Lightfoot in helping me pay my tuition. Just before my final year of graduate school for my masters in Biblical studies, he married me and my wife at the University Church of Christ. I remember him giving us a wedding gift of three hundred dollars. Dr. Carl Spain was a great friend and mentor who in conjunction with his teaching load faithfully took care of his ailing wife whom I never got to meet. I am excited for Dr. Carl Spain to have a center name after him and to finally get the credit and recognition for being the man that he was. My life was blessed and is blessed by the wonderful servant and man of God who has gone to be with the Lord! This is progress and it will help bridge the sometimes racial divide in the body of Christ. Dr. Taylor is a great match for this position. He taught us while he served as dorm supervisor at SWCC’s JS Winston dormitory. I worshipped with him when her served a congregation in Sulfar Springs, TX. Congratulations Dr. Taylor! As an undergraduate at ACU in 1958, I remember the concern my debate partner and I felt because African American friends from a Houston college were inappropriate accommodations at tournaments. Once at a Kansas when meeting them for lunch, we had found them eating in the restaurant kitchen. Motel rooms for the Houston squad during the ACU Speech Tournament presented a problem. So partner and I arranged to sleep with friends giving the two girls our dorm room. However, Dr. Edward M. Brown, our coach, housed the entire Houston squad with hospitable members of the local African American Church of Christ.